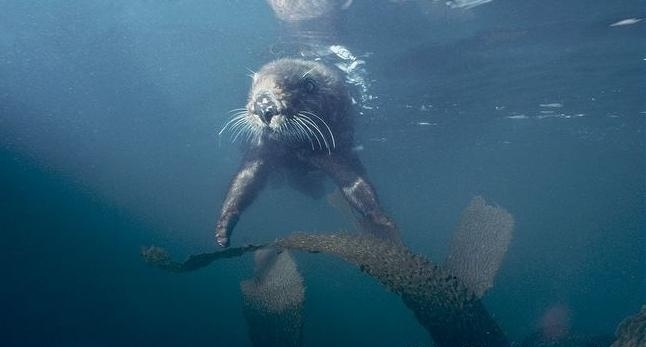 The Marine Otter is not to be confused with the far more familiar Pacific Sea Otter. 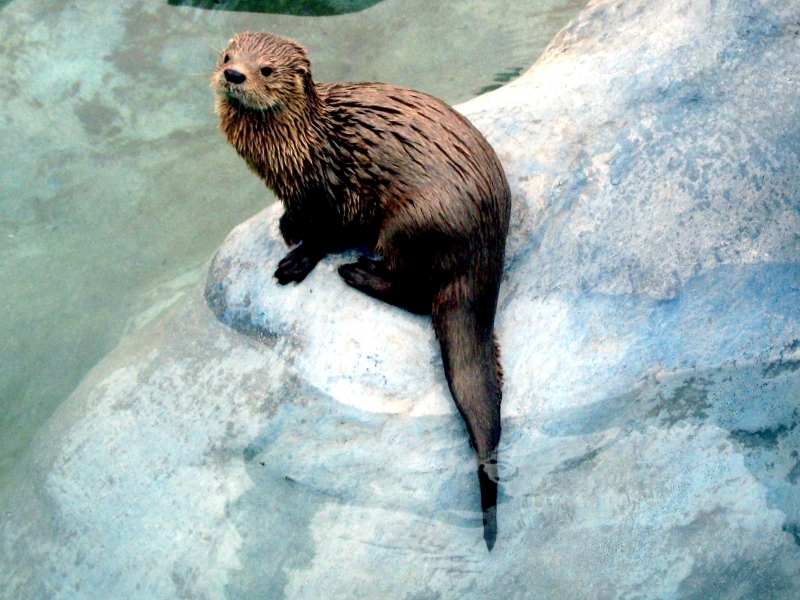 The Marine Otter is smaller, leaner & more cat-like and are known locally as the “Sea Cat”. 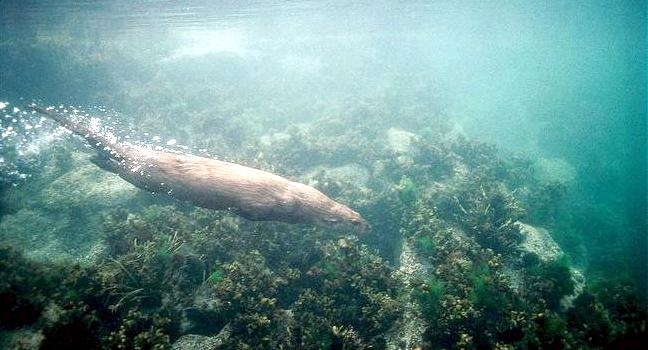 Not many Marine Otters live in captivity. 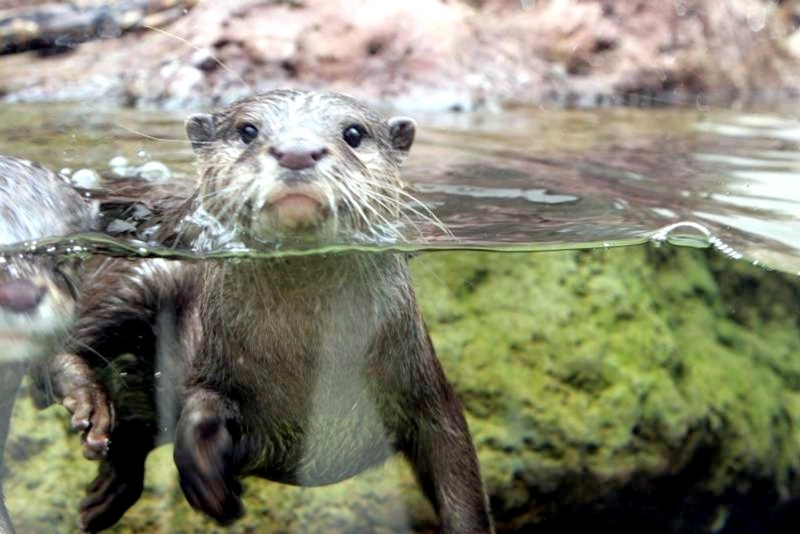 They have much smaller natural range than the Pacific Sea Otter, which calls most of the Pacific Ocean their home. 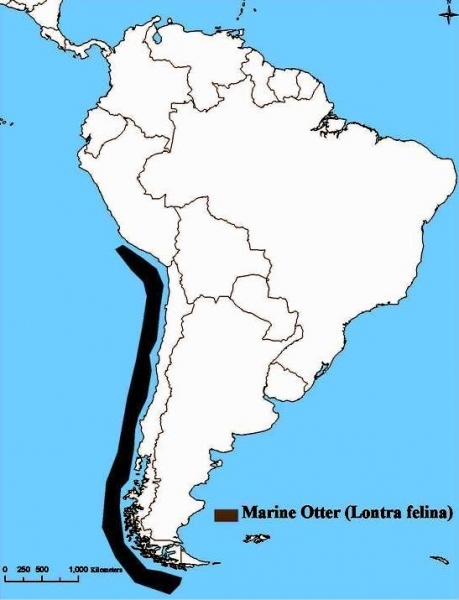 Marine Otters can still be seen in the wild off the coasts of Chile, Peru & Argentina. 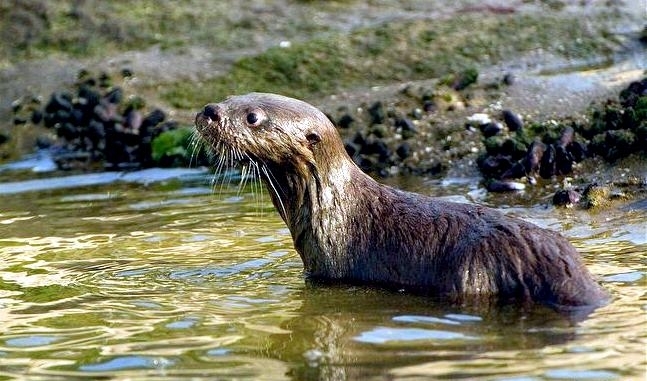 Sadly, the Marine Otter is an endangered species. 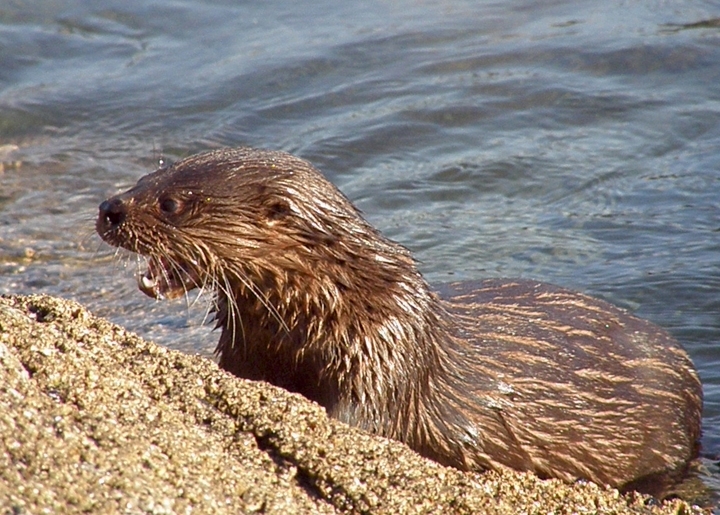 Marine Otters were heavily hunted for their brush-like, water-resistant pelts. 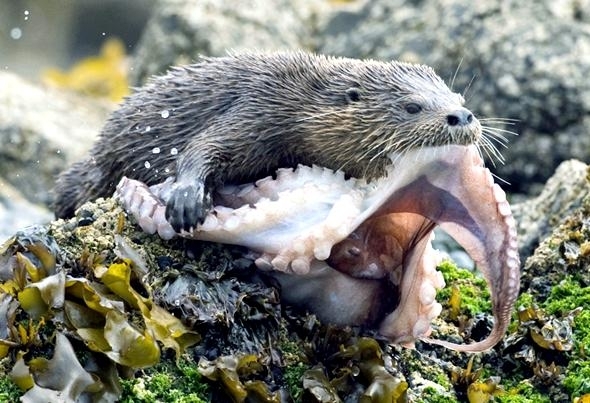 Although they are a protected species, poaching is still a problem. 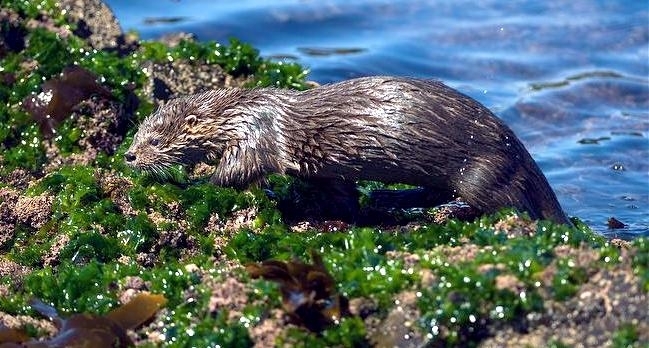 Over-fishing by humans has limited their known food supplies of crabs, mussels & limpets. 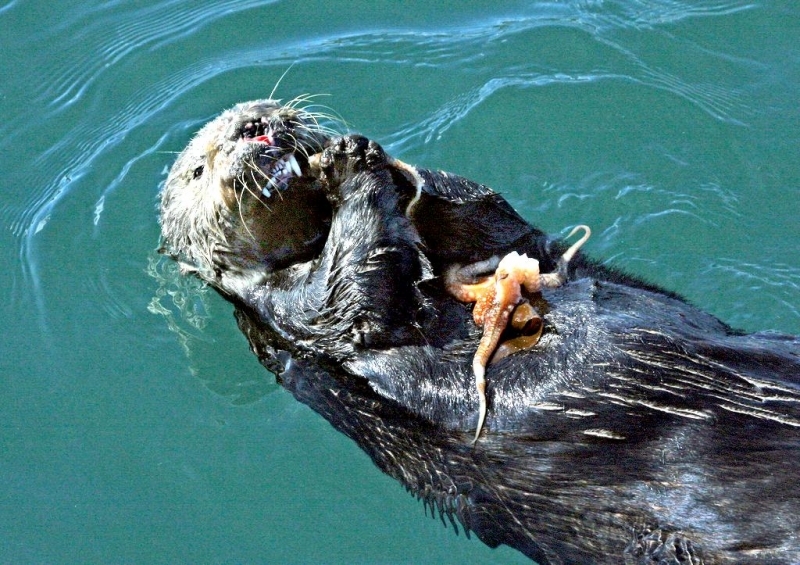 They also catch fish up to 23.6 inches (60 centimeters) long. 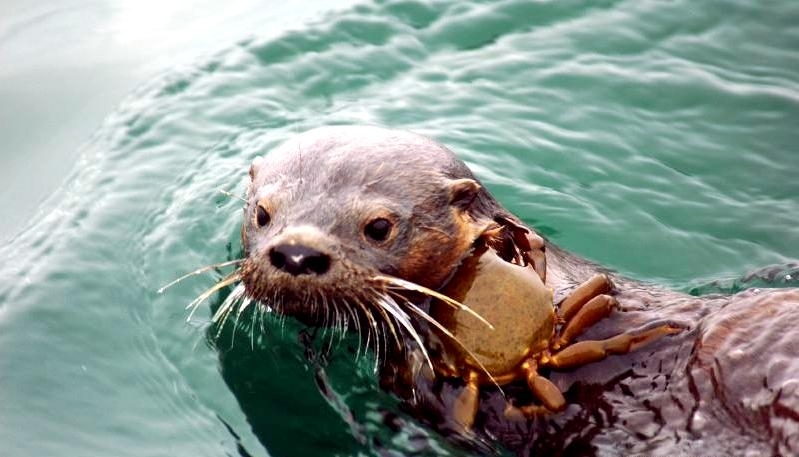 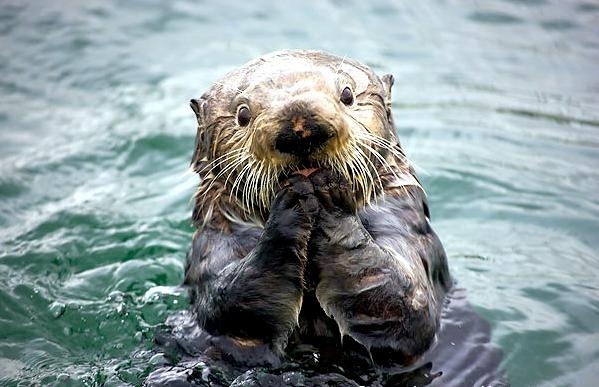 Marine Otters possess long bodies, stubby legs ending in webbed & clawed paws and a sleek, seal-like head. 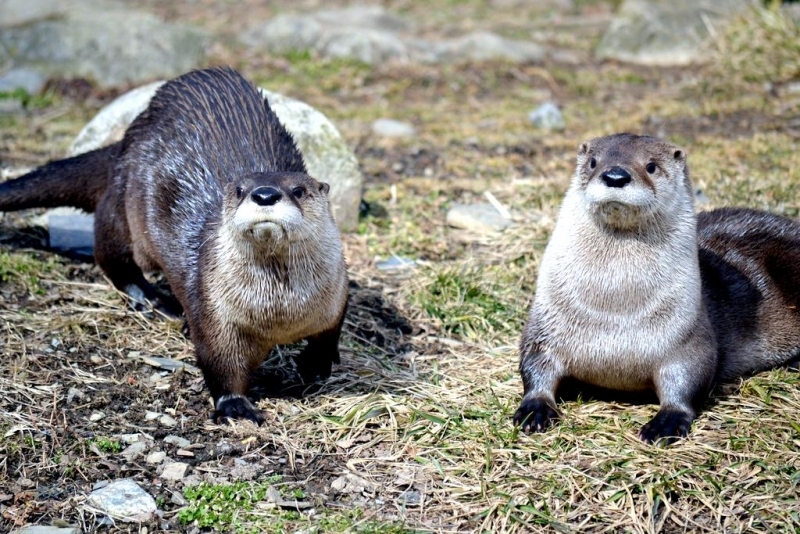 Their tails appears short in comparison to the body. 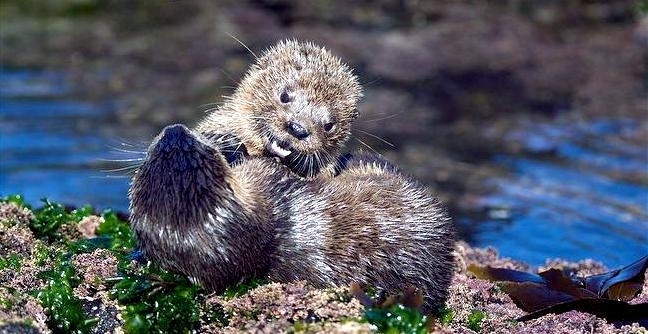 Males & females look alike and grow to the same size & weight. 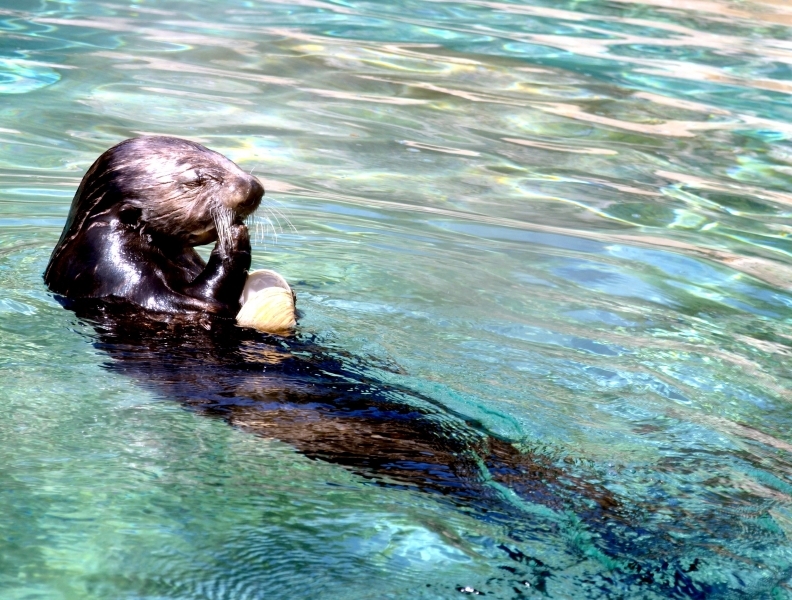 Adult Marine Otters grow to a body length of 45 to 58 inches (113 to 149 centimeters), including the tail. 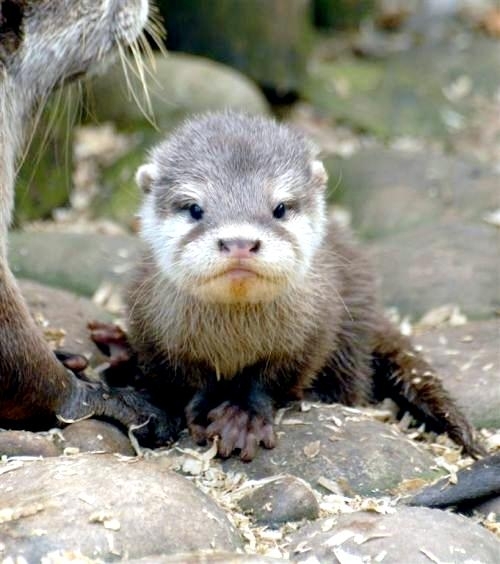 Adult weights vary from 6.6 to 13 pounds (3 to 5.8 kilograms). 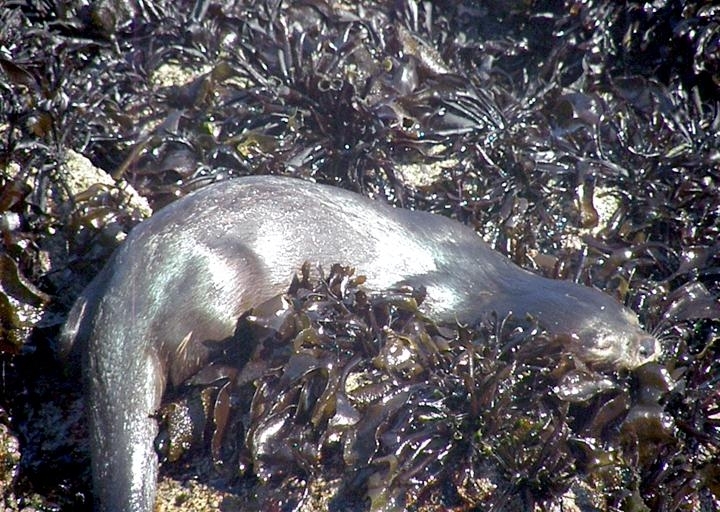 The Marine Otter’s fur ranges in coloration from a coffee brown to a mousy gray. 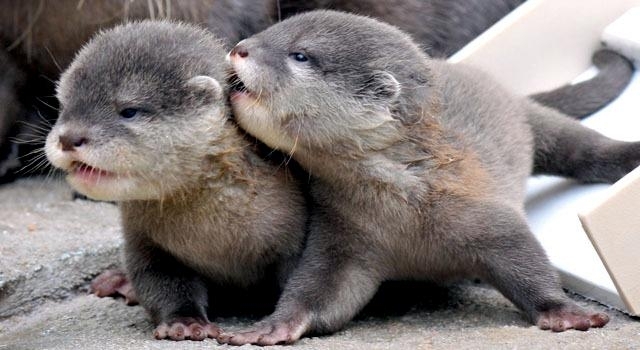 Their fur is not as valuable as for other otter species because it feels so harsh. 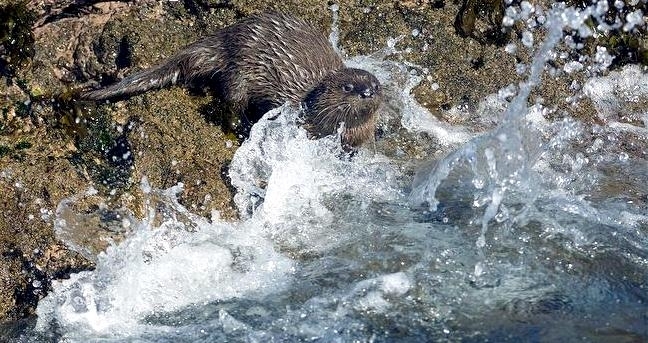 The fur needs to be harsh in order to protect the Marine Otters from colliding into rocks near their coastal homes. 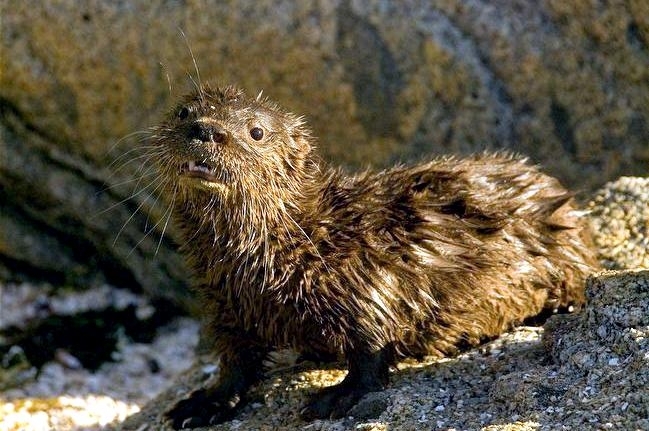 The fur has 2 layers, with the innermost layer shorter & softer than the outer layer. 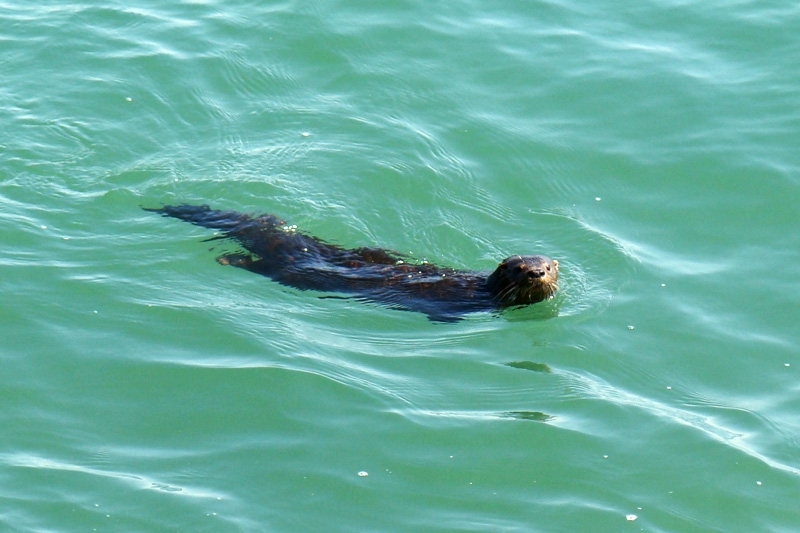 Adults often sport pale brown or grey patches underneath their chins and on their bellies. 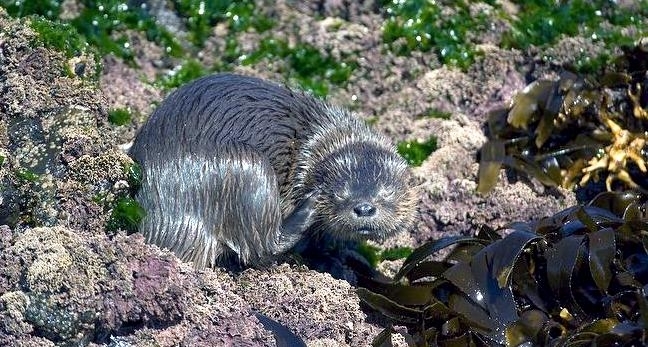 Marine Otter pups have much darker pets which lighten as they age. 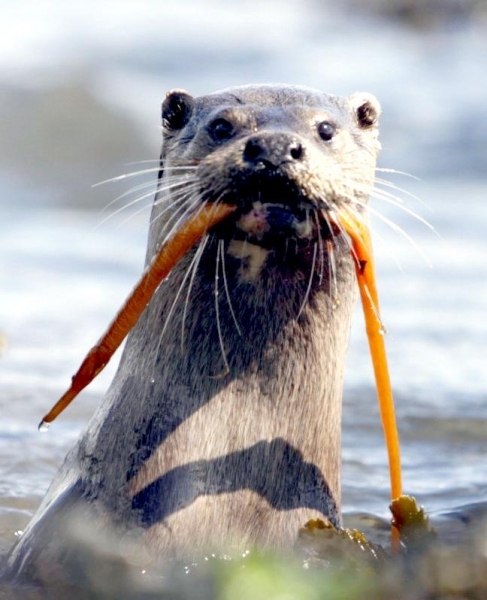 Unfortunately, not much is known about the Marine Otter’s habits & behaviors. 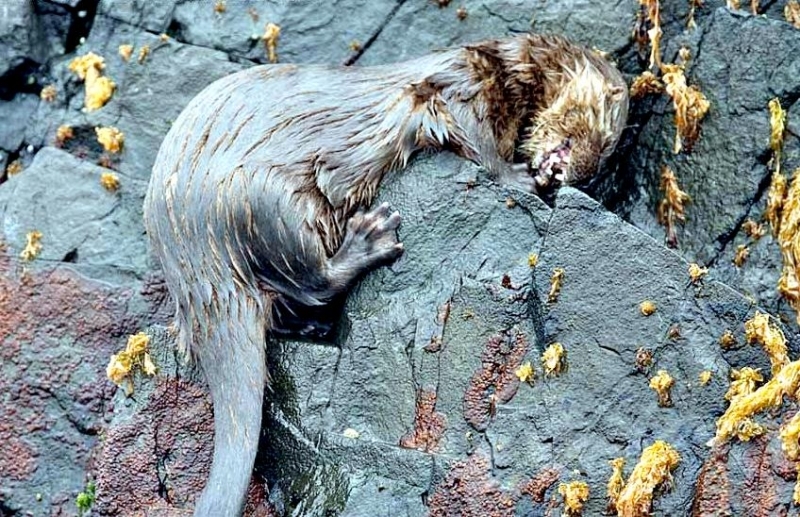 It is known that they are most active during dawn & dusk but sleep during the night. 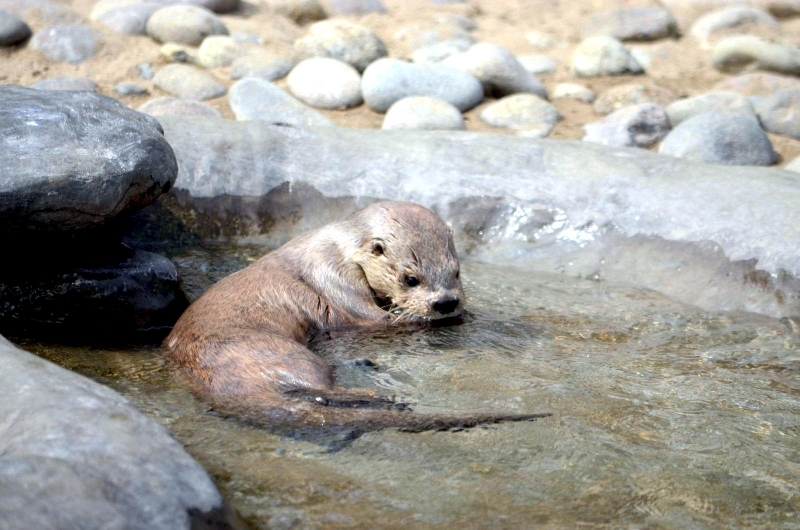 Unlike many other otter species, Marine Otters wash their coats with saltwater not freshwater. 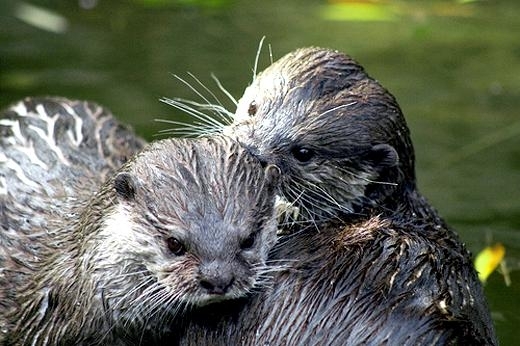 Breeding season for Marine Otters is during December & January. 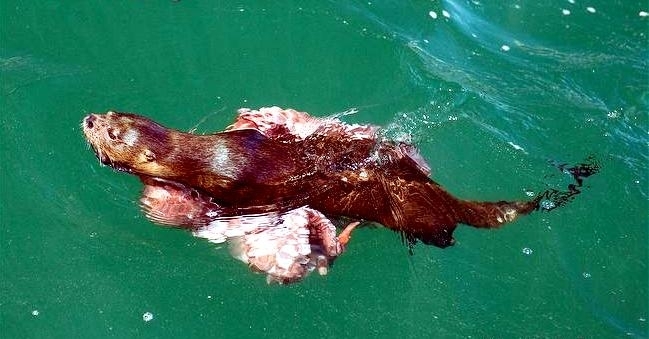 Female pregnancies last from 60 to 65 days and they often give birth to 2 pups, although liters of 4 have been spotted. 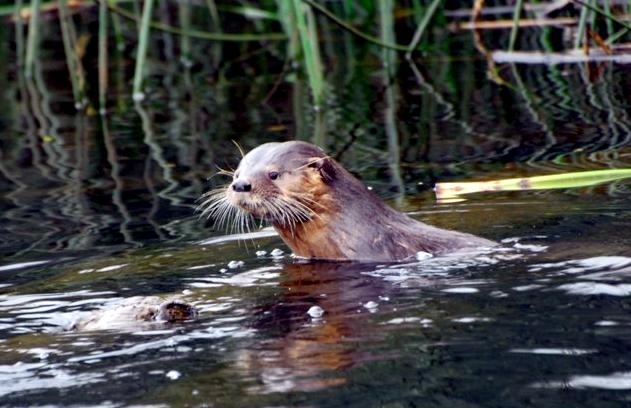 Both males & females help to raise the pups. 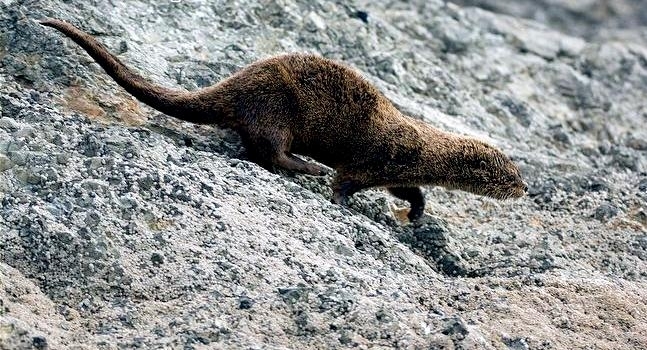 The pair digs a den on land in order to raise their family. 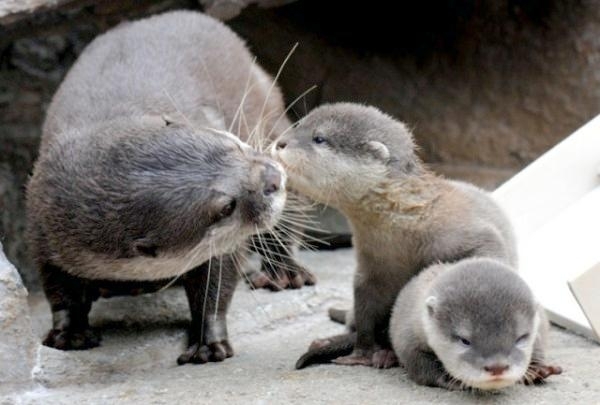 Pups stay with their parents for 10 months. 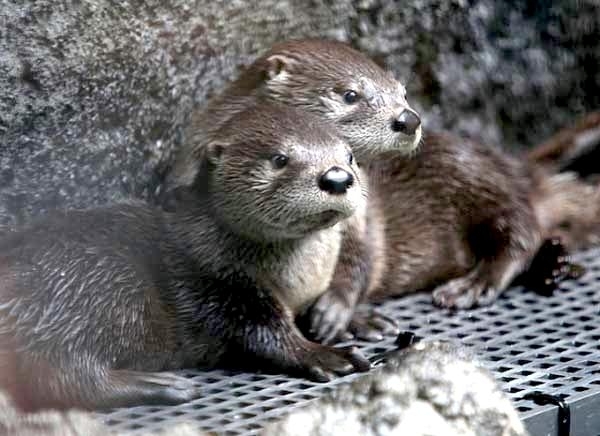 The pair teaches their pups to swim, hunt, how to socialize with other Marine Otters and how to avoid predators such as the Killer Whales & various sharks. 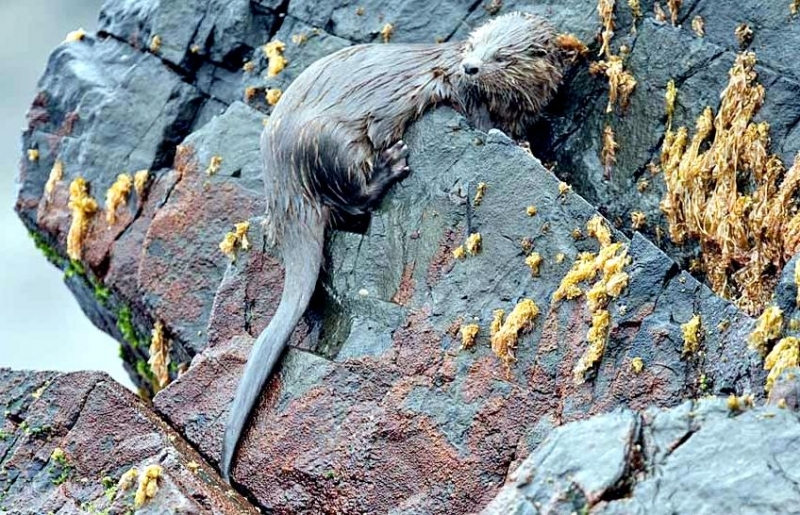 Small pups can be plucked off the rocks & beaches by large birds of prey. 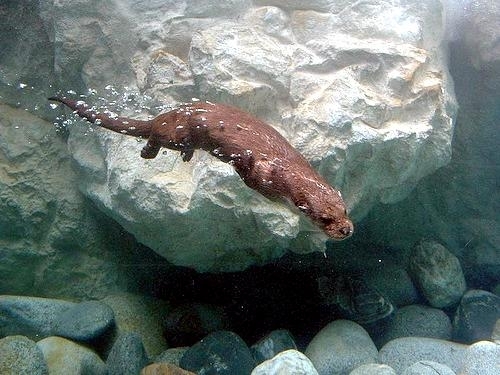 It is unknown how long they live. 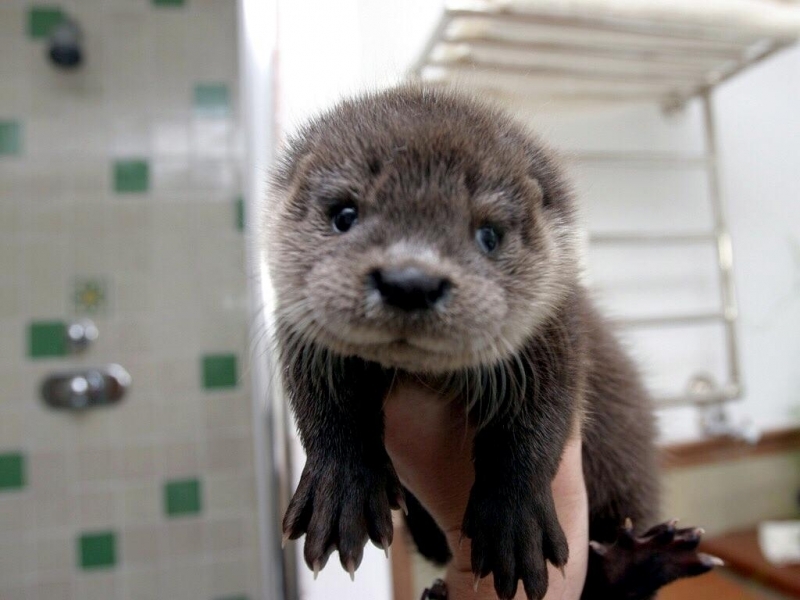 A baby Marine Otter is called a “pup” or “whelp”. 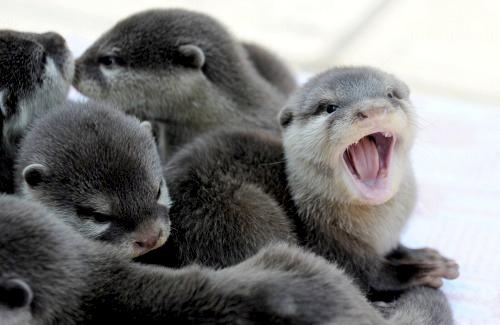 A group of Marine Otters is called by several names including “romp”, “bevy”, “lodge” or “raft”.